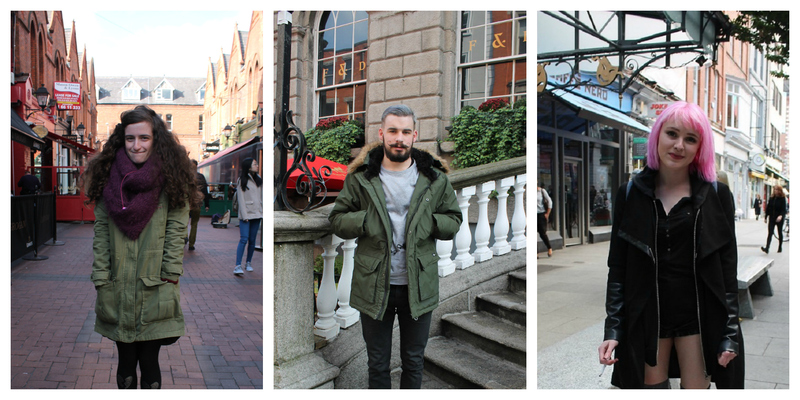 Dublin streets were full of people dressed in style, showing loads of variety and winter trends with a personal twist! 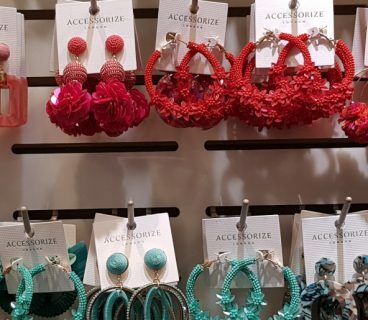 Autumn/Winter dressing this year has been at it’s best this October we found great examples of layering, mixing fabrics, great accessories and an abundance of autumn tones. 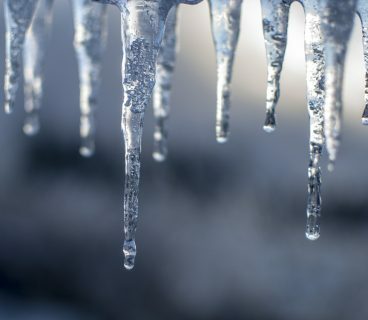 Check out our snaps below that will have you inspired for the upcoming colder months! 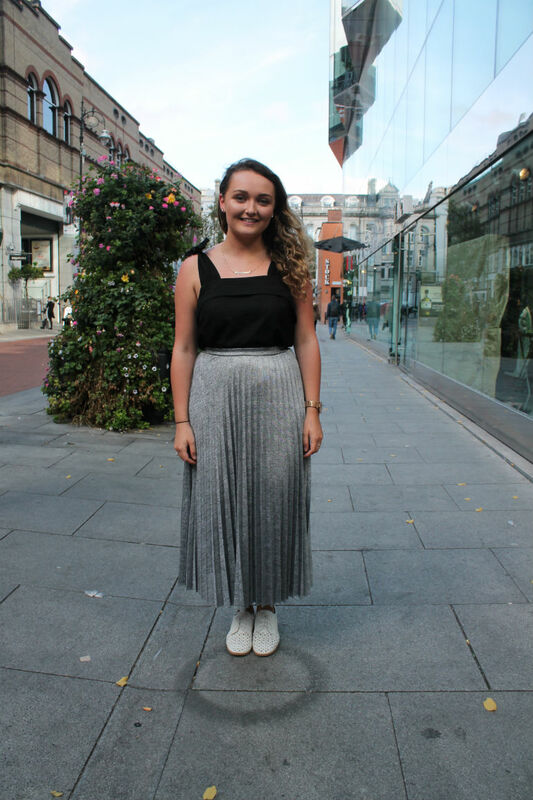 Cliodhna wears: Top – Warehouse, Skirt – Warehouse, Shoes – Penneys. 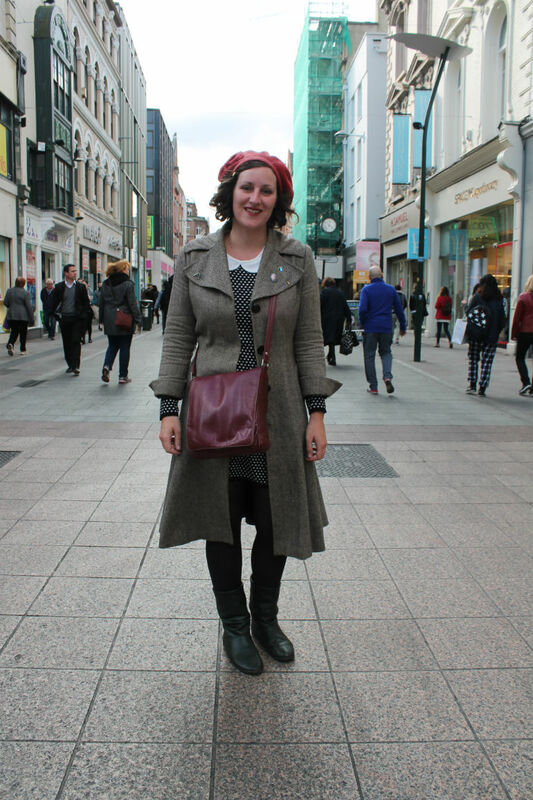 Johanna wears: Head to toe charity shop finds, Bag – Brought Back from Australia by her Mum. What she thinks of Dublin Style: There is a great mixture of people and shops, you really can get one of everything you want here. I don’t pay too much attention to whats fashionable but I like winter dressing with boots, skirts, and coats! 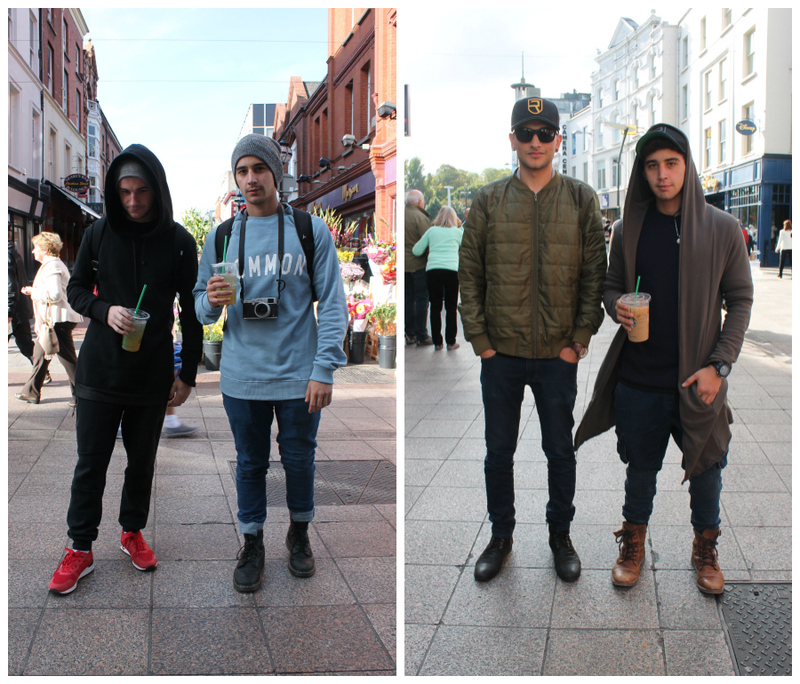 We also ran into a couple of members of the Aussie group Janoskians! Luke wears: Jumper – Kommon, Jeans – Sampson and Taylor, Boots – Doc Matens. Shery wears: Bomber – Micheal Panel. Jai Wears: Hoody – The Iconic, Trousers Sampson and Taylor. 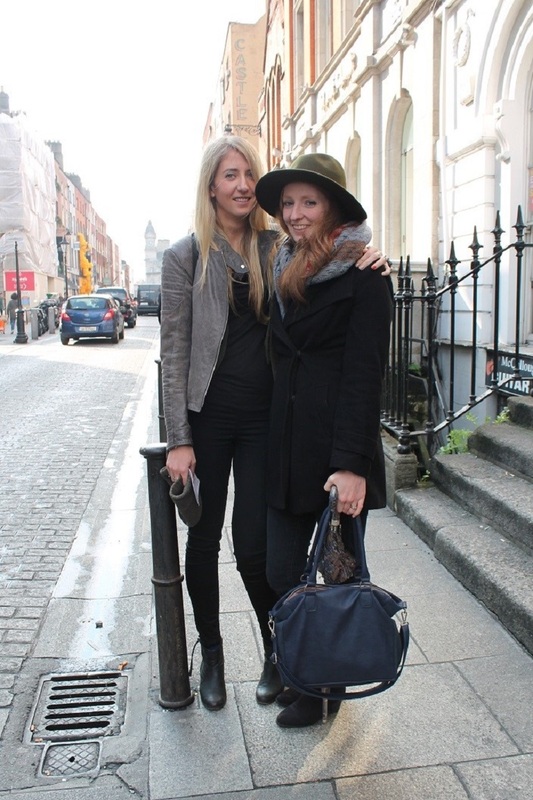 What they think of Dublin style: Dublin style is really great, people here have good style! Winter styles seem to be more tailored and fitted which is great too! Kammila Wears: Jacket – Pull and Bear, Dress – H&M, Legging – Penneys, Shoes – Adidas. What she thinks of Dublin Style: There is a big big mix of styes from different people, cultures and places, and that is what you can see on the street! Michelle wears: Jacket – Cos, Dress and Scarf – H&M , Trainers – Reebok. 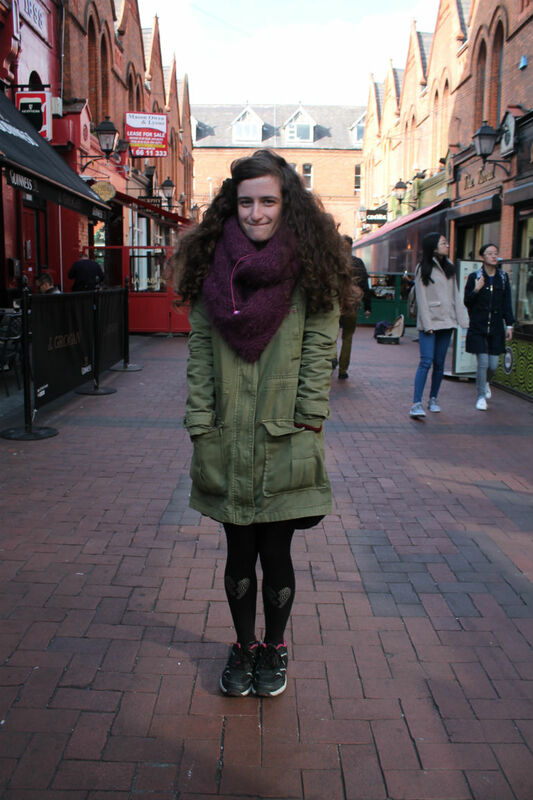 Stacey wears: Jacket – H&M, Dress – Monkey, leggings – Topshop, Shoes – Vans. 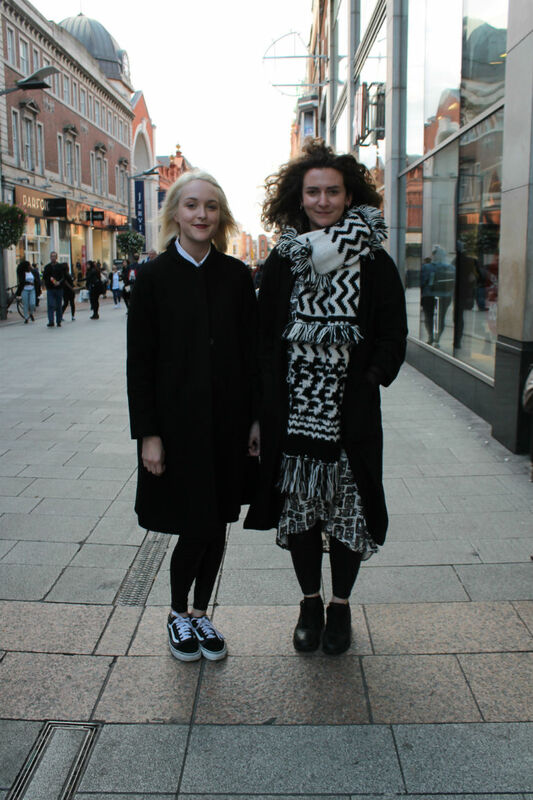 What they think of Dublin style: Dublin’s style is really up and coming at the moment, it’s exciting! It’s nice to vintage become so big, and people mixing it with hight street! Paul wears: Mix of vintage, and German high street. What he think of Dublin style: Autumns Dublin style is very European, similar to Germany, I don’t enjoy winter dressing as I hate the cold! Rachel wears: Head to toe Hand me downs and charity shops finds. What she thinks of Dublin Fashion: I love when people get dressed up, I loved when EP was on and seeing dressed in festival fashion! I go to a lot of conventions and love seeing their costumes! 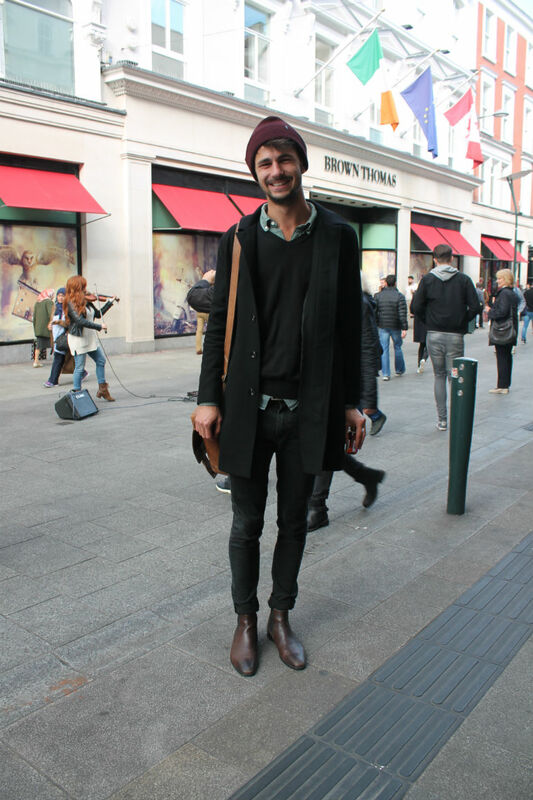 What they think of Dublin style: People should embrace their outfit to the weather more. 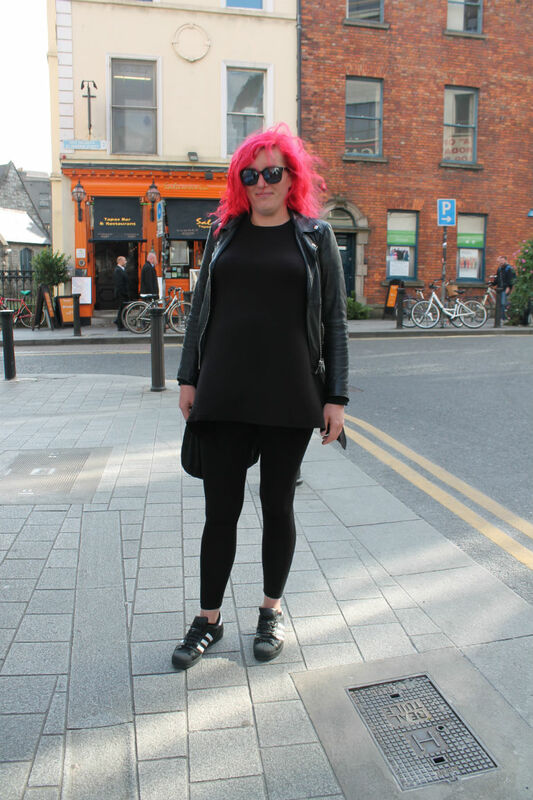 So there you have it folks – this month’s Dublin street style! 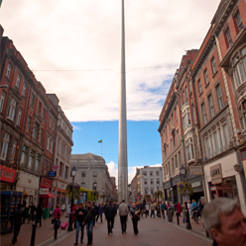 For all things #DublinFashion, follow us on Instagram and Twitter.